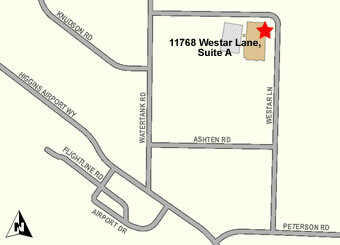 We are located on Westar Lane at the Port of Skagit County in Burlington. From State Route 20 heading east, turn left at the Port of Skagit County sign onto Higgins Airport Way. Approaching the airport turn right onto Peterson Road and then left on Westar. Go about 3/8 mile. The entrance to our parking area is on the left side of the road opposite International Aero Interiors. Proceed to our office at the north end of the parking lot. 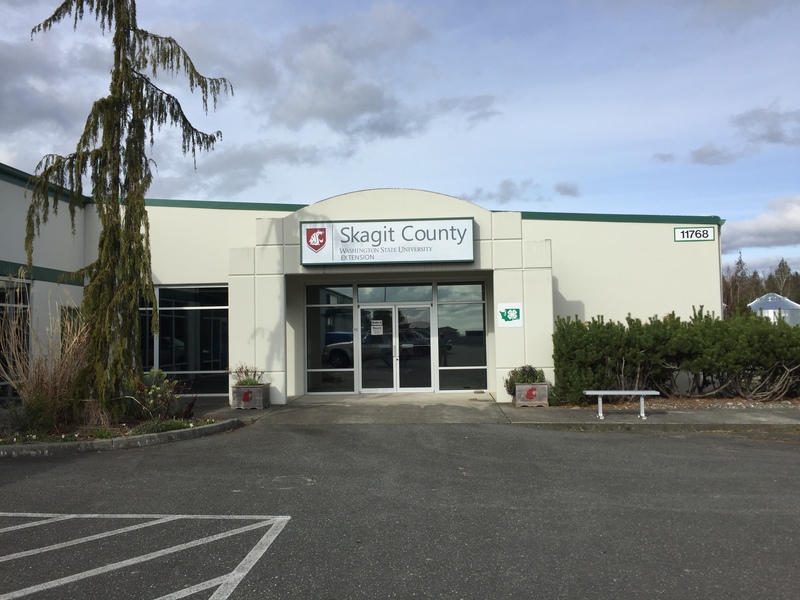 Look for the Skagit County WSU Extension sign and the number 11768 on the side of the building to the right of our front door. 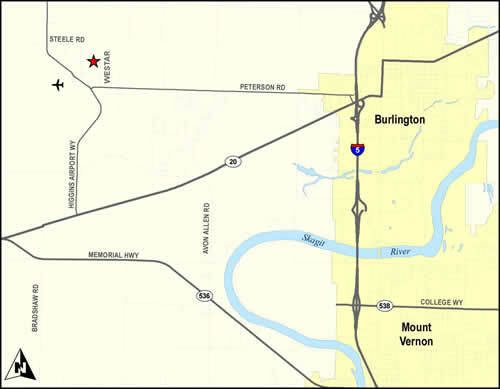 If you are approaching Burlington going north on I-5, take exit 230, the State Route 20, Burlington, Anacortes exit. At the end of the ramp turn left onto State Route 20. Turn right at the stoplight onto Garrett Rd. Turn left at the stop sign onto Peterson Rd. Turn right onto Westar. Go about 3/8 mile. The entrance to our parking area is on the left side of the road opposite International Aero Interiors. Our office is at the north end of the parking lot. 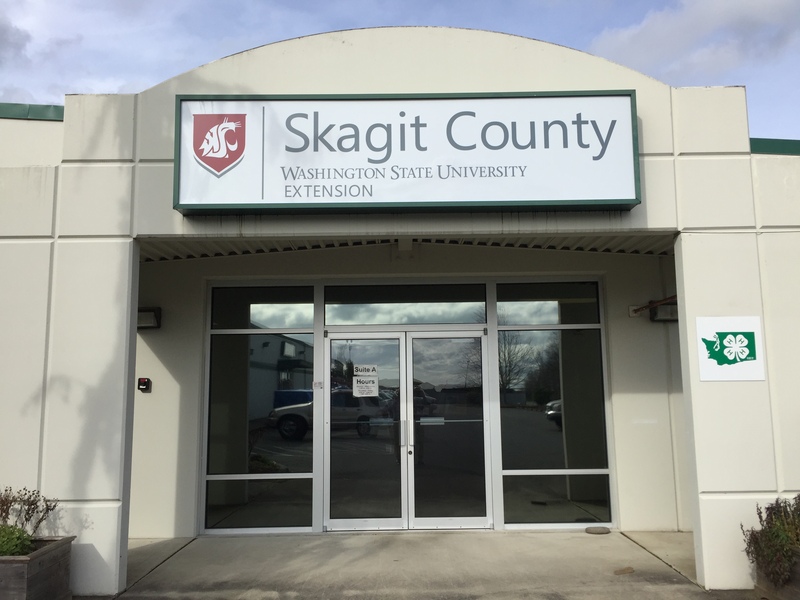 Look for the Skagit County WSU Extension sign and the number 11768 on the side of the building to the right of our front door. If you are approaching Burlington going south on I-5, take exit 230, the State Route 20, Burlington, Anacortes exit. At the stoplight at the end of the ramp, go straight onto Garrett Road.